Pharmaceutical co-crystal is widely accepted technique important for increasing solubility of poorly soluble drugs. The formation of pharmaceutical co-crystals involves incorporation of API with another pharmaceutically acceptable molecule in a crystal lattice. The resulting multicomponent crystalline phase maintains its intrinsic pharmacological activity with improved physicochemical characteristics. 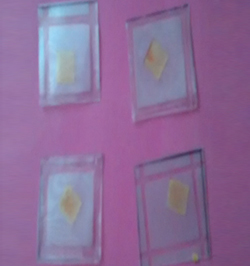 Batches of co-crystals were prepared by solvent evaporation method. Co-crystals were evaluated for physical appearance, drug content uniformity, solubility studies, in vitro dissolution rate, FTIR, DSC, SEM and XRD studies. 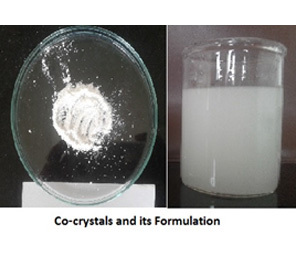 The co-crystals were incorporated into liquid dosage form using suitable excipients. HKCP believes that knowledge is power. The HKCP prides itself on sculpting the minds of students. I received my Master’s and felt that the curriculum was very structured and applicable. I enjoyed the energy & enthusiasm of the teachers. The education was phenomenal & the amount of time I spent doing my research project was well worth the experience. 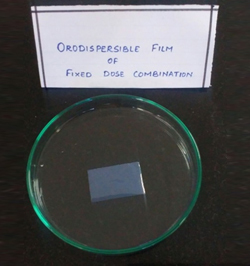 Research work was carried out to formulate Oro-dispersible film of anti-hypertensive drug by the process of solvent casting. 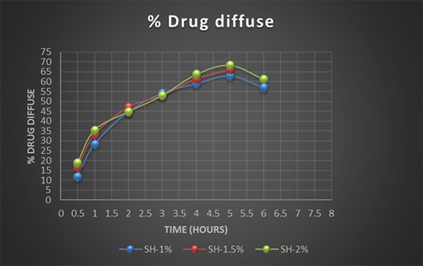 Solubility of drug was enhanced using various solubility techniques and solubilized drug was incorporated into ODF using plasticizer and polymer in definite ratio. Evaluation methods comprising of tests to understand differences in characteristics of ODF was studied to develop analytical method for estimation of drug content and in vitro release from ODF. Developed ODF was further subjected to stability studies. HKCP is a perfect platform for nurturing knowledge with an epitome of guidance in right direction. Administration and staff co-operation was very much beneficial for smooth journey throughout the course of studies. Infrastructure and facilities for the research work with its continuous upgradation and improvement helped in working more efficiently. Along with learning, HKCP provides platform for overall development through scientific days, seminars and other workshops. Constant career guidance and active placement cell have guided students to select the right path. Ginger is fresh rhizomes of Zingiber officinalis belonging to family Zingiberaceae. There is need to isolate these component for specific pharmacological activity. In the current research work, we have designed a method to isolate, identify and quantify the ginger component for further use in formulation development. Solubility studies of ginger powder in different solvents were studied . Further, Extraction of ginger component in alcoholic solution followed by distillation assisted in quantification using UV Spectrophotometric method. The isolated extract was used to formulate oral disintegrating film for anti- tussive effect and combined with anti-asthmatic drug. Humera Khan College of Pharmacy has enriched my life in many ways, it has provided me a with excellent Principal, and teachers. During my PG course, I was taught to perform practical's using machineries such as HPLC, UV, FTIR etc., this helped me during interview as well as in current job. They also stressed the importance of thinking critically and participating in various activities such as Sports, National Seminars, Conferences etc. All these aspects of H.K college have contributed in all-round personality development. It is a best platform to enhance and sharpen skills. Aphthous Stomatitis (RAS) is one of the most common oral cavity lesions, with a wide range of reported prevalence from 5 to 50% in different populations. It is a recurrent spontaneously healing lesion mostly affecting the lips, soft palate and throat in children and young adults. Aloe Vera has been used externally to treat various skin conditions such as cuts, burns and eczema. It is postulated that the sap from A. Vera is analgesic and reduces inflammation. Many pharmaceutical researchers have focused on formulations enabling drug targeting and prolongation of the therapeutic effect in the oral cavity; protection of the drug from degradation in the adverse biologic environment was an additional focus. These requirements can be fulfilled by a suitable mucoadhesive formulation inside the buccal cavity: conventional dosage forms, in fact, maintain their effects in this cavity for a significant period of time with difficulty, because they are very easily removed by salivation, temperature, tongue movement, and swallowing. The objective of present research work is to develop mucoadhesive formulations for mouth ulcers and orodontal infections of herbal origin. For any research, the perception and passion is very necessary and hard work with expertise is another element to achieve that goal. We at HK family learnt best of research orientation work under the experience and dedicated faculties. The infrastructure and high tech lab provide us favorable environment to carry out research activity. I wish HK prosperous and shining years ahead. All big thanks to my guide Dr. Anubha Khale for sure for her consistent support throughout. Wound healing is a complex and dynamic process of restoring cellular structures and tissue layers. The objective of wound management is to heal the wound in the shortest time possible, with minimal pain and discomfort. Hydrogel are most popular due to their good biocompatibility, high water content, high permeability of oxygen, essential nutrients. This research would be beneficial and contribute to the development of better anti-inflammatory and anti-burn formulation. The approach to the above research would be, to formulate an Aloe Vera gel using a natural polymer that absorbs water and forms a stable Hydrogel. My time in college has enriched my life in many ways. It has provided me with the necessary tools to enhance my skills more, taught me valuable knowledge about this diverse world and people and concepts in general and eventually will enable me to hopefully become more successful in life when I finally graduate and get my degree. It also has stressed to me the importance of thinking critically and asking questions in many situations. All these aspects of college have also made me more well-rounded as a person. I am very much thankful to my all time guide and mentor Dr. Anubha Khale for all his support and guidance. Title of M.Pharm Project: Enhancement of Bioavailability of poorly soluble drug. Guided by: Dr Anubha Khale & Ms. Hema Kanekar. The current research work directed towards the development of mouth dissolving films for Ondansetron. It belongs to BCS class II drug having poor aqueous solubility.The bioavailability of orally administered Ondansetron is only 60%. 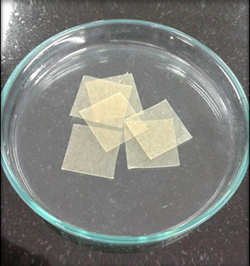 Thus, project was directed towards the solubilization of drug to yield MD films. Phase solubility studies and SEM were carried out to establish the complexation of Ondansetron and hydroxypropyl-betacyclodextrin. The complexed drug was incorporated into the film dosage form. The dissolution and assay methods were developed. In vitro drug release and In vitro permeability study showed comparable drug diffusion. The developed ODF was transparent, readily disintegrating and thus possessing desired characteristics. The provisional Indian patent application is filed on the solubilization of drug and its formulation. I have completed my B. Pharm as well as M. Pharm from HKCP. These years at HKCP were full of knowledge, learning, skills developing & memorable educational trip. The days spent here were basically my learning days on which my today's professional world stands. It strives continuously to improve quality of education to nurture the talent of the students to enable them to embark upon a successful career. Feel blessed to be a part of this institution. The M.Pharm research project was based on the techniques of enhancement of bioavailability for BCS class IV drug molecules. The lipidic excipients were studied along with drug to study the effect of these excipients on the solubility of drug. The aqueous solubility of phosphodiesterase inhibitor (selected drug) was found to be improved with lauroyl-macrogol-type of glycerides. Also, the In vitro permeability study was carried in isolated porcine tissue as well as in isolated intestinal segment and the diffusion of drug was correlated with In vitro release. 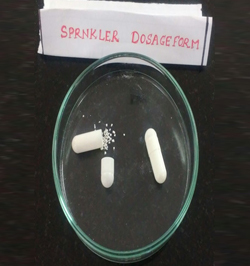 The sprinkler kind of dosage form was developed which as the name suggests can be “Sprinkled over the foods”. The analytical method development was carried out for this novel dosage form. It gives me great pleasure to be an alumnus of HKCP. The two years of graduation life has taught me so much, that beyond the confines of the curriculum. Our extremely well trained and dedicated faculty not only thrive to make us technically sound but also concentrate in developing our all-round personality. I thank HKCP for giving shape to my carrier and I am proud to be a part of it. Title of M.Pharm Project: FORMULATION DEVELOPMENT WITH NEW APPROACH. Novel microsphere, new approach for formulation of bilayer microsphere of anti-diabetic drugs (Pioglitazone hydrochloride and Metformin hydrochloride) was developed and characterized. Drug was identified on the basis of FTIR spectra, melting point, DSC, XRD analysis. Developed formulation was optimized for drug content, particle size, dissolution studies, and stability studies. Studying in HKCP for 6 years for my UG and PG was indeed a great experience. Received great support and guidance from the teachers and Principal madam, Dr. Anubha Khale. Even non teaching staff is quite helpful. All facilities, instruments , equipments are available in college which are required for M. Pharm project. We do get industry exposure while pursuing PG, which really found fruitful we actually stepped into industry . Thank you for everything HKCP. Controlled drug delivery is one which delivers the drug at a predetermined rate, locally or systemically, for a specified period of time. Delayed release dosage form is best formulations which are used for drugs that are destroyed in the gastric fluids, or cause gastric irritation, or are absorbed preferentially in the intestine. 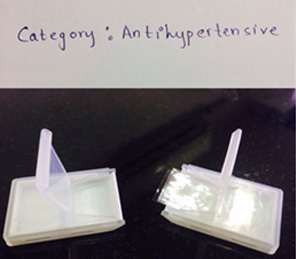 The primary object of the present project was stability enhancement for drug which is prone to decompose due to moisture and acidic environment, so use of enteric polymers helps protection and also improves the stability of API. Development of a generic product starts with the evaluation of the branded innovator product followed by compatibility studies, selection of process and equipment and lastly the feasibility trails bioequivalent product. Enteric coated tablets of proton pump inhibitor anti-ulcer drug were formulated and optimized by using design expert software. Stability studies are being carried out at temperature 30ºC/65%RH, 40ºC/75%RH & 25ºC/60%RH as per ICH guidelines. I take this opportunity to thank MES management, Principal, Dr. Anubha Khale and all the teaching staff who are constantly working for the grooming of students. Really a good institute to be associated with! Title of M.Pharm Project: Solubility Enhancement of Poorly Soluble Drug. The project was based on “Solubility Enhancement of Poorly Soluble Drug”. The project was developed in collaboration with Chemech laboratories. Tadalafil was selected as molecule of choice as it is reported to have poor aqueous solubility and permeability (BCS Class IV). 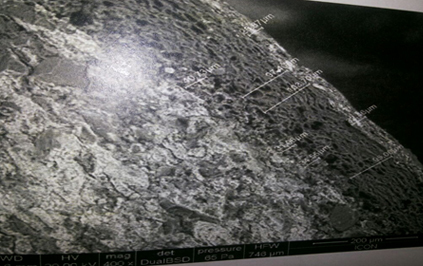 We developed a novel formulation using concept of micronization and solid dispersion. This improved the solubility of drug as well as improvement in In Vitro dissolution. . The analytical development for Assay, Dissolution was developed. 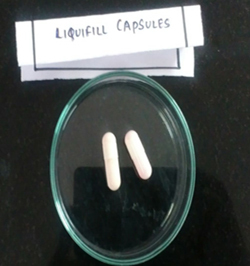 The project involved the prototype formulation development of dosage form as per ANDA requirement. Working on the M. Pharm research project would never have been possible without the able teaching and guidance provided by all the teachers throughout the course. The things that make HKCP distinct are its culture that binds us as a family, at the same time the whole environment is highly competitive. The institution is characterized by good management administration and teaching. I have spent some of my most memorable days here and I have become good professional only because of this college. The project was based on the design and development of mouth dissolving films. Levocetirizine dihydrochloride was selected for formulation development. Mouth dissolving films would provide faster onset of action and better patient compliance as compared to conventional dosage forms. Although, Levocetirizine molecule is reported to be have high solubility but it has moderate permeability and thus delay in onset of action with conventional dosage forms. Thus, MDF are the most suitable dosage form for this molecule. There are no mouth dissolving films available for this molecule. Thus, in the current research work Levocetirizine orodispersible films 2.5 mg once a day dosage was designed. 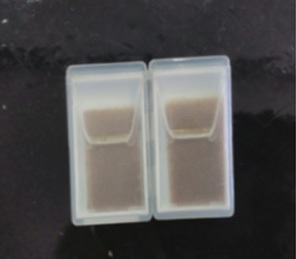 The analytical development for Assay, Dissolution was developed. The special packaging development for MDF was carried out in collaboration with ACG Pharma pack. The provisional Indian patent application is filed for the composition and manufacturing process for Levocetirizine MDF through Hk’s IPR policy. HKCP is a platform for developing the raw minds for the outside world. The two years of learning at HKCP is equivalent to several years of pragmatic life. The faculties, administration and authorities always think from the student point of view and thus the student gets benefitted a lot. Excellent infrastructure and supportive staff are its assets. Moreover this institution also supports in building student’s future by helping them to prepare and clear many competitive exams necessary for further higher education. Title of M.Pharm Project: Development of targeted drug delivery system. The aim of this study was to develop and formulate orodental film containing aloevera juice. Formulation was developed to explore the antibacterial effect of aloevera content “acemannan” targeting in periodontal disease therapy. Formulation was prepared by simple solvet casting technique. 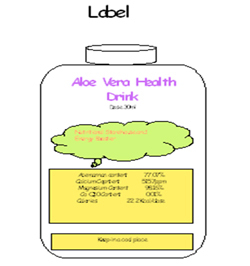 Extract of aloevera inner leaf juice obtained from aloe barbadenesis leaves, was stabilized. 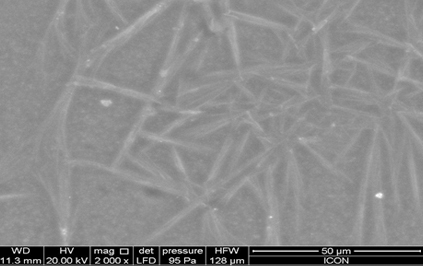 Acemannan content in the extract was evaluated by colorimetric assay, FTIR and NMR studies. Various methods were developed to estimate Anthraquinone levels. The level was checked as per International Aloe Science Council (IASC). The formulation was standardized with respect to quality parameters such as smooth surface, flexible, translucent film. Processing parameter like drying time was studied. Further, to aid in organoleptic property clove oil and peppermint oil was added in the formulation. The films were evaluated physically and the final formulation was subjected to stability study for a period of 3 months. HKCP has nurtured me and made me what I am today. I am more disciplined and my Guide Dr. Anubha Khale helped me to grow not only professionally but holistically…as a good human being. Thank you HKCP for everything. The aim of this study was to formulate and optimize a nutraceutical formulation in the form of oral liquid with aloe vera extract. Formulation was developed to improve organoleptic properties, energy, nutrient and antioxidant value. Energy value of formulation was improved with phoenix dactylifera fruits. Improvement in antioxidant value due to addition of external antioxidant Coenzyme Q10 was studied in the formulation. Formulation was prepared by simple dispersion method of ingredients in a specific manner. Different stabilizers and viscosity modifiers were tried. Locust bean gum helped to disperse coenzyme Q10 in the formulation. Quantitative estimation of active ingredient of aloe vera - acemannan was performed by a colorimetric assay. Formulations were evaluated for antioxidant value along with physical and chemical parameters. Quantitative estimation of active ingredient of aloe vera - acemannan was performed by a colorimetric assay. Thus a well-defined nutraceutical formulation with coenzyme Q10 is desirable. The feature of H.K. College is its well updated library facility which is very essential for literature search in research work. I would like to express my special appreciation and thanks to my research guide, Professor Dr. Anubha Khale, for giving me an opportunity to work on a novel project of nutraceuticals. Mam has been a tremendous mentor for me. Always encouraged me to participate in various seminars and conferences regarding the subject and meticulously guided us in poster presentations and writing. She has found the perfect balance of challenging us and being there as support when I didn’t understand something. Always showed concern and never moved on until I got it because of which I was able to conquer difficult problems during research. Her advice on both research as well as on my career have been priceless. Targeted drug delivery into the colon is highly desirable for the treatment of rheumatoid arthritis. Research study was focused on formulation development of self-emulsifying drug delivery system of Ibuprofen [IBF] drug filled in hard gelatine capsules for colon targeting. 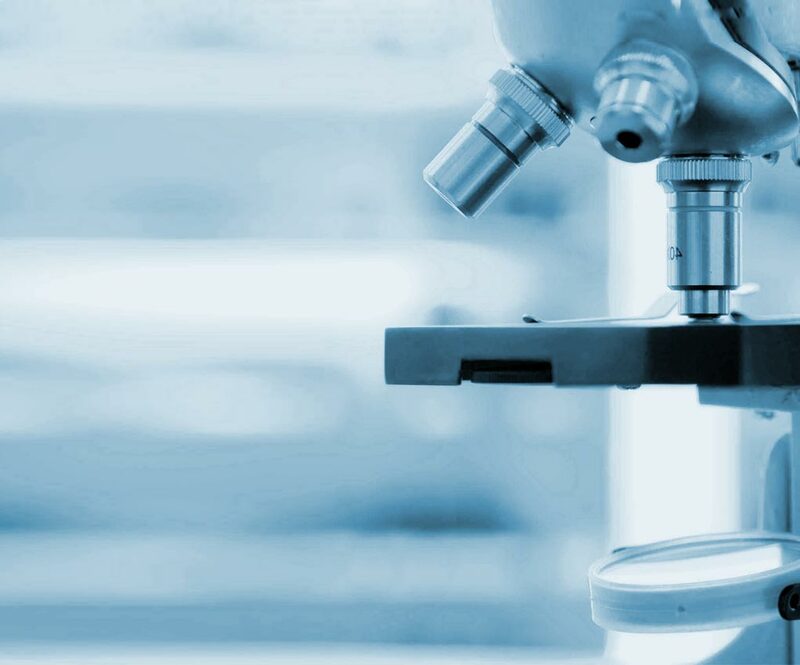 The preformulation studies included characterization of pure drug, solubility and compatibility studies of pure drug with different excipients. The compatibility studies shows relevant results. The developed SMEDDS formulation was also studied for stability as per ICH guidelines. The formulation was tested till 3 months and found stable at room temperature as well as at accelerated conditions. 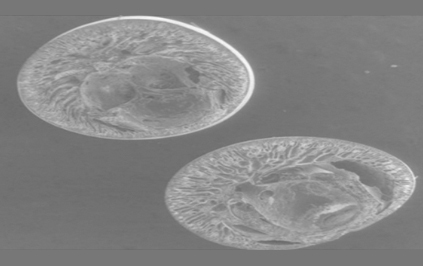 Sealing solution was developed for band sealing technique to prevent the leakage of liquid formulation from hard gelatine capsule. 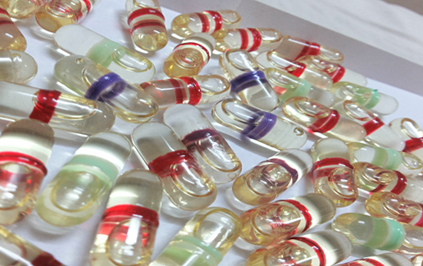 Controlled release coated capsules with PH sensitive polymer shows promise to deliver the drug in desired site. Developed formulation was compared with marketed formulations shows enhanced bioavailability of drug. It was a quite learning experience while pursuing M. Pharm in HKCP. Teaching staff always worked for the overall development of students. Principal and MES management always support students in terms of infrastructure and facilities. The aim of the research study was to develop and evaluate the nanostructured lipid carrier based formulation for the treatment of vertigo. Furthermore the project also aims to develop nasal in-situ gel for targeted drug delivery of the NLC’s to the brain via trigeminal neuronal pathway. Cinnarizine (CNZ), a piperazine derivative with anti-histaminic activity and high affinity to H1 receptors is currently used for the treatment of migraine or migraine related vertigo. A poorly water-soluble BCS Class II drug, oral delivery of Cinnarizine is precluded due to variable dissolution and low bioavailability. Therefore to overcome problems like to reduce the number of doses and increasing the patient compliance novel approaches were needed. Nanostructured lipid carriers are colloidal drug carrier systems comprising of aqueous dispersions of solid lipids as well as liquid lipids. 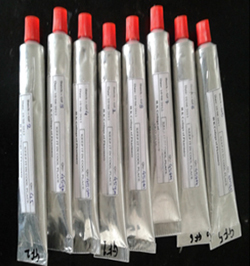 They are especially useful for entrapment of the lipophilic drugs or poorly water soluble drug. Most of the piperazine derivatives, being highly lipophilic are suitable candidates for incorporation into lipid nanoparticles. Novel gel formulation of CNZ combining advantages of nanoparticulate and in-situ gelling technologies was successfully developed for nasal administration as well as brain targeting. 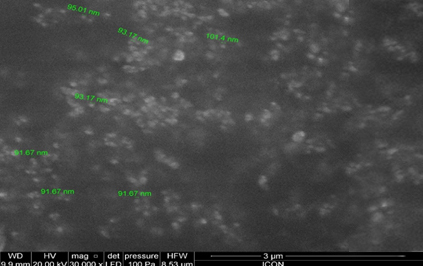 The formulation had demonstrated good stability and physical properties of nanosuspension phase, excellent sol-gel transformation ability of in-situ gelling phase and controlled drug release profile overall. HKCP means disciplined and systematic approach towards not only research but any activity/ work one is carrying out. Thank you all teachers and non teaching members for rendering all the help as and when needed.